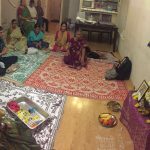 Sri Ramanujamji visited Maryland area on Friday,October 10th 2014 and conducted a satsang at the residence of Sri.Deepakji. 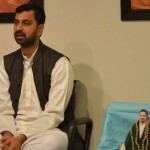 He lectured on “Essence of Bhagavatha Dharma”, especially highlighting about 26 versus of Kunti Stuti. 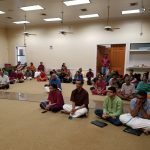 The Pravachan was very well received by the entire audience followed by an interactive session during which the audience were enthralled with thought provoking answers for their questions on intriguing Bhagavatha Dharma. 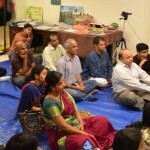 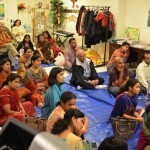 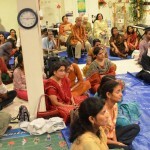 About 40 devotees attended the satsang and listened to Sri Ramanujamji’s lecture with rapt attention. 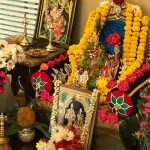 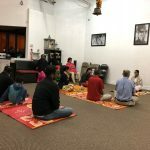 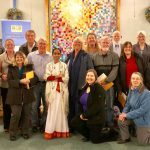 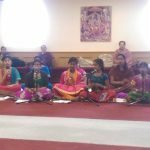 One Response to "Discourse on ‘Essence of Bhagavatha Dharma’ in Maryland"